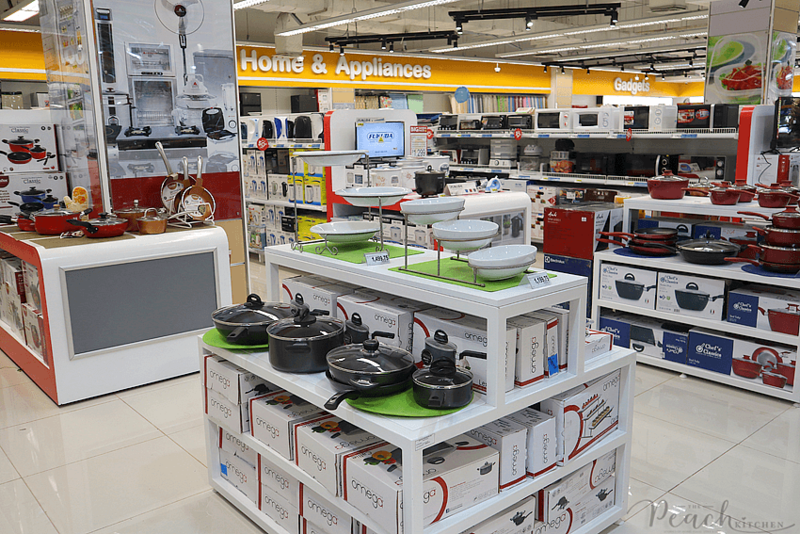 You are here: Home / Shopping / We Love Grocery Shopping at Shopwise Alabang! 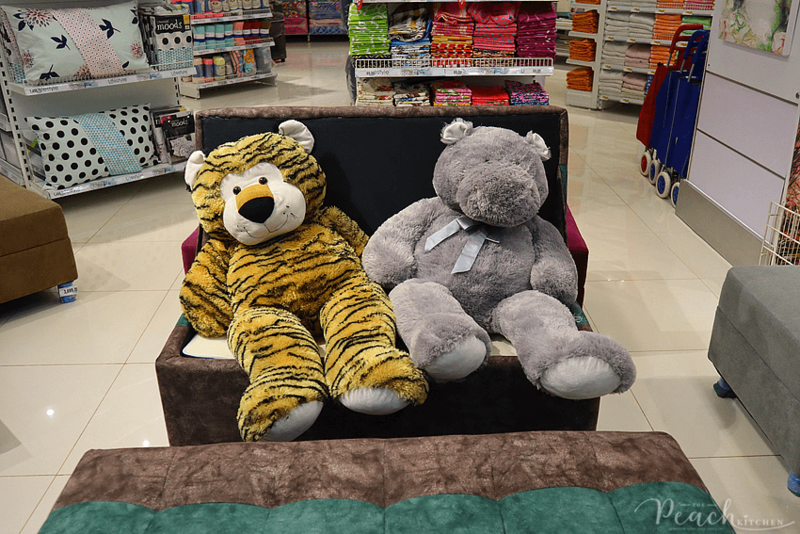 Too bad I missed the opening of Shopwise Alabang in Festival Mall a couple of weeks ago. I can imagine how grand it must be. 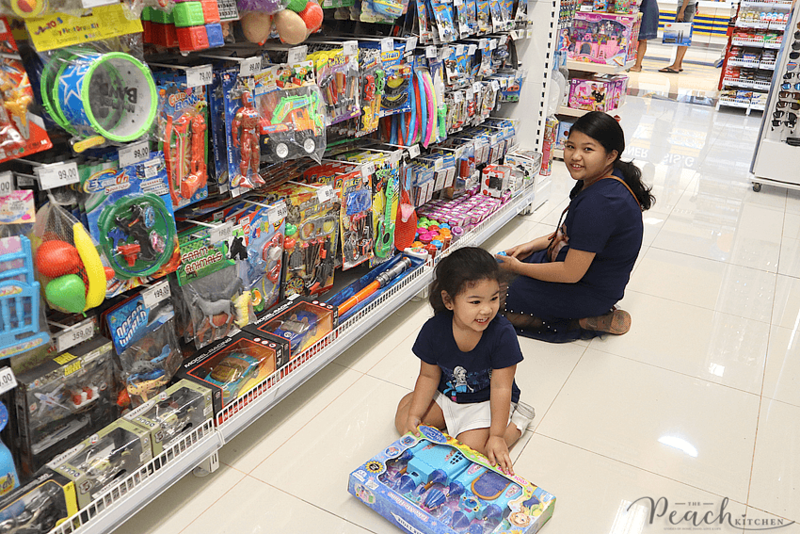 I heard it’s a BIGGER and BETTER Shopwise Alabang and we just have to see for ourselves. So the family and I did our groceries there last weekend and we loved it! 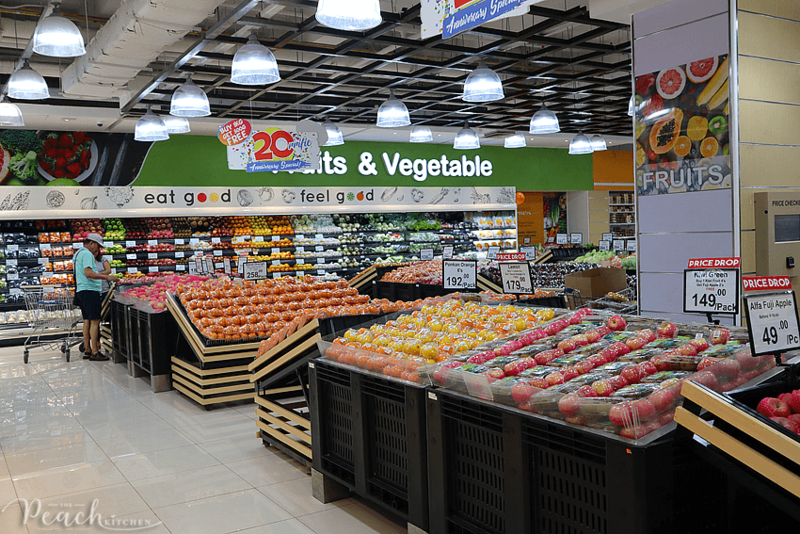 The new store is bright, airy, and has wide spaces specially designed for convenient shopping. 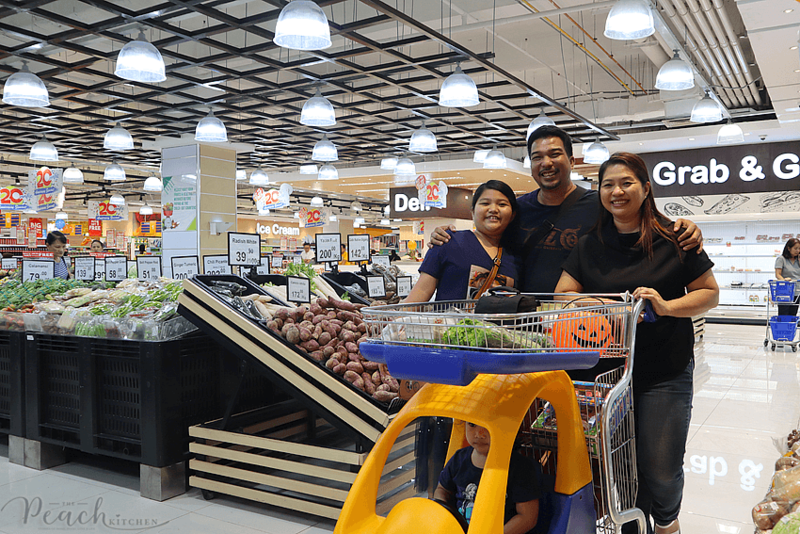 When we do our groceries, we always get these carts with cars para di malikot si Twinkle and I’m glad they have it there. Jack-O-Lantern baskets and creepy buckets are now available there as well some other halloween items. We bought a basket for Twinkle’s Trick or Treating later this month. 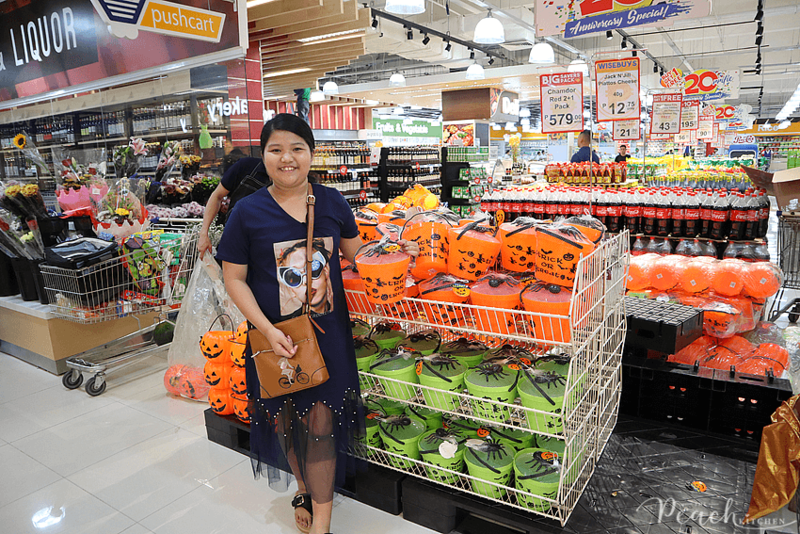 Since the Imported Section is near the entrance, that’s where Ykaie went first after checking out the Halloween thangs… then she asked me to buy her a couple of Caramel Apple Lollipops. Of course, if you have wine , you gotta have something to pair it with. 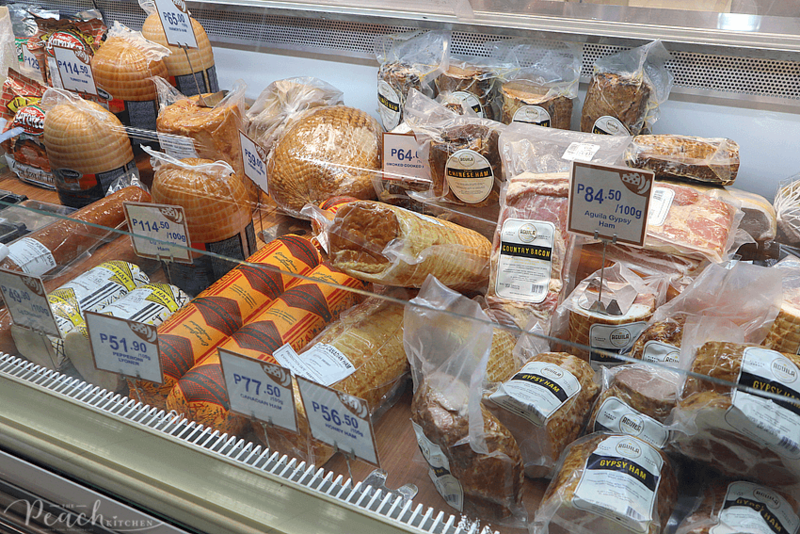 Good thing Shopwise Alabang’s Deli is packed! 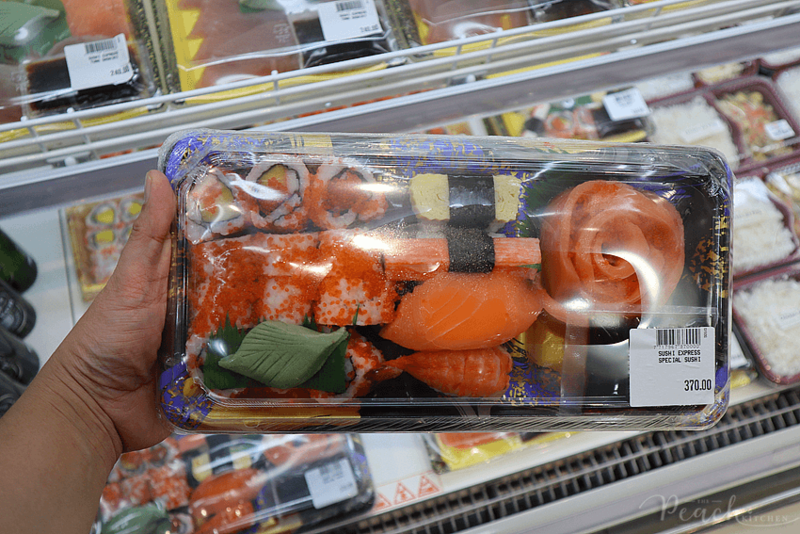 They also have ready-to-eat pastas and salads — AND fresh sushi and sashimi to satisfy your Japanese cravings. 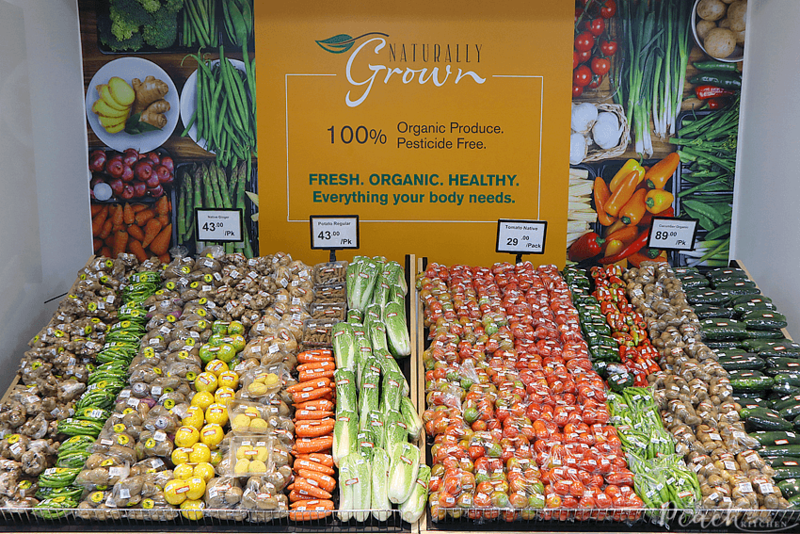 They also have a section for naturally grown organic veggies. 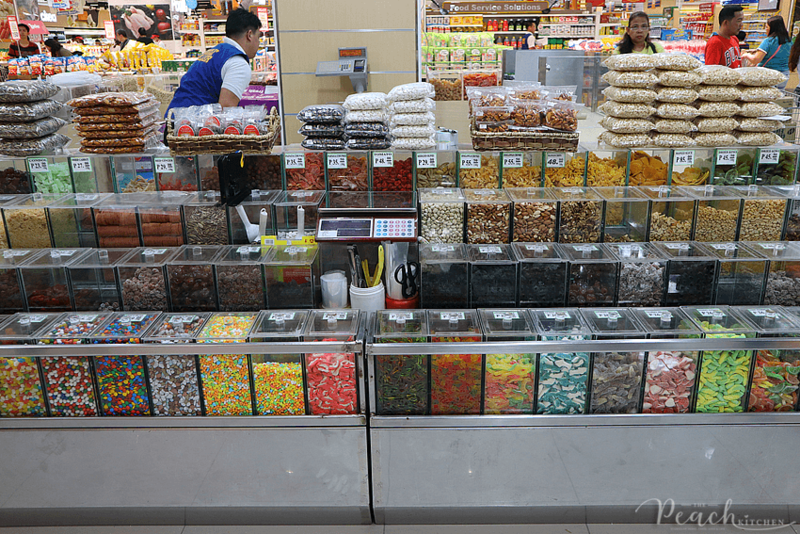 This is the dry goods section where you can buy dried fruits, gummy candies, beans, legumes, dried gabi leaves for laing, and different kinds of nuts. You can buy it here per kilo. They have a free taste of the new Loacker Chocolate last weekend and look who enjoyed it. 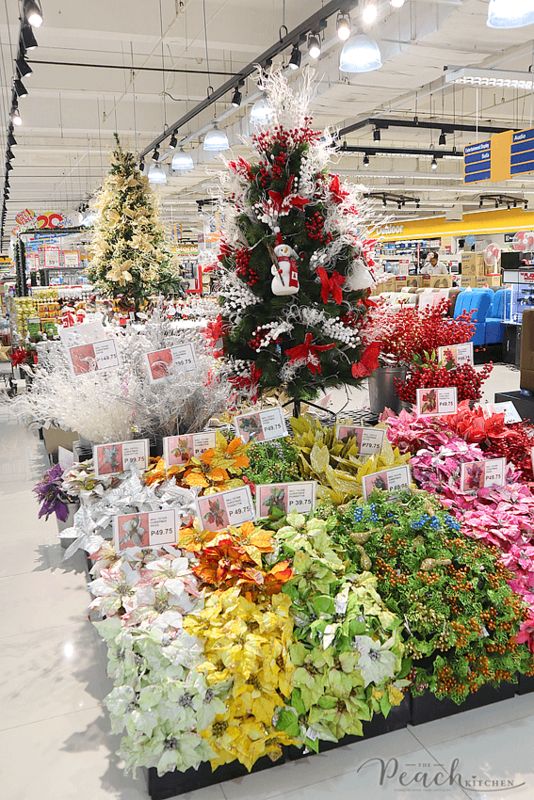 Aside Halloween items, Shopwise Alabang already has Christmas Specials available like this Merry Feast Package for ₱299 and ₱399. 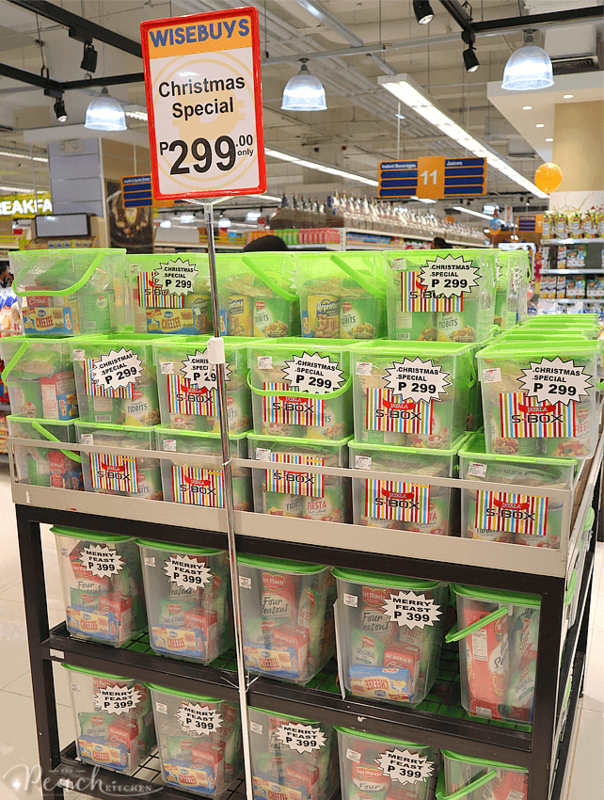 These boxes contains ingredients for our favorite handa during Christmas like Spaghetti and Fruit Salad. 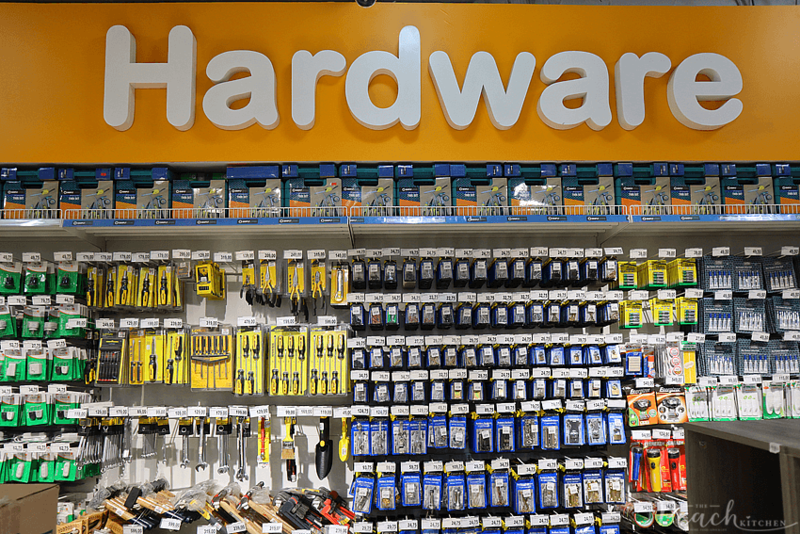 Another thing I love about this branch is the big hardware-slash-home section. I like these thermos food jars huh? 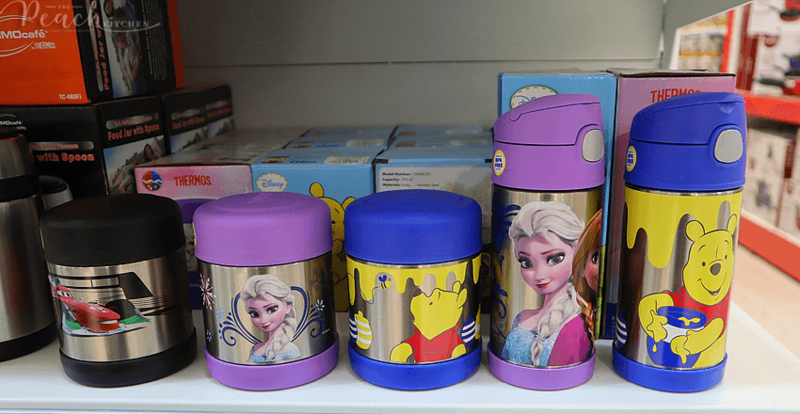 They are printed with Disney characters…. 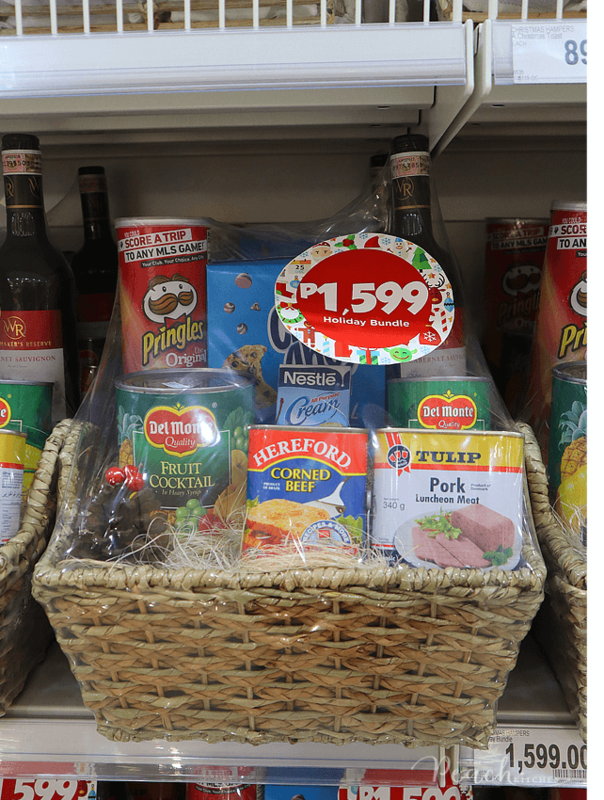 as well as Christmas baskets which are perfect for gifting to relatives and friends. 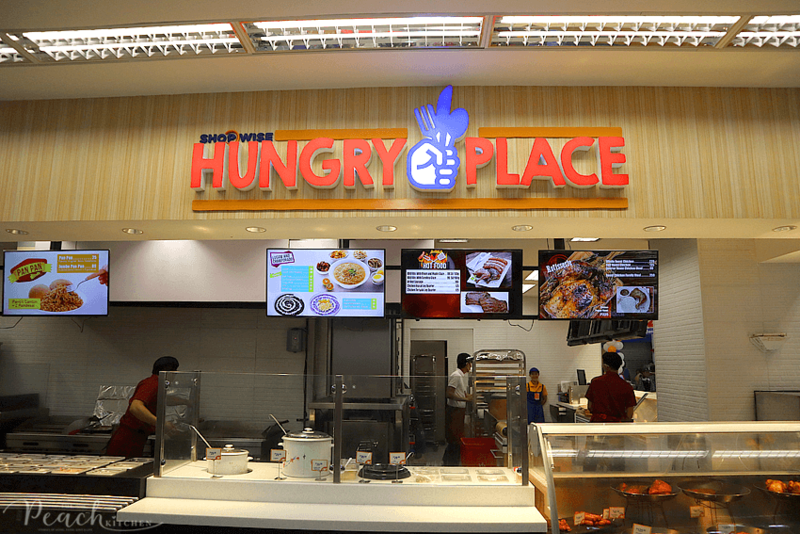 Just in case you get hungry during shopping or before shopping, you may stop by Shopwise Hungy Place and munch on your favorite food. 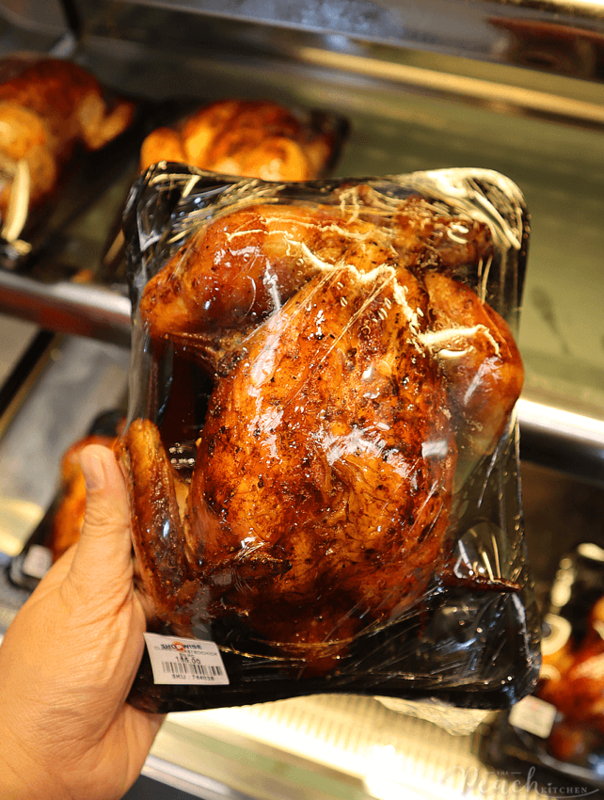 You can also get Roasted Chicken or Roasted Pork Belly for take out when you’re too pressed for time or too busy to cook at home. Since it’s Shopwise 20th Anniversary. They are giving away 20 Treats and Trips. 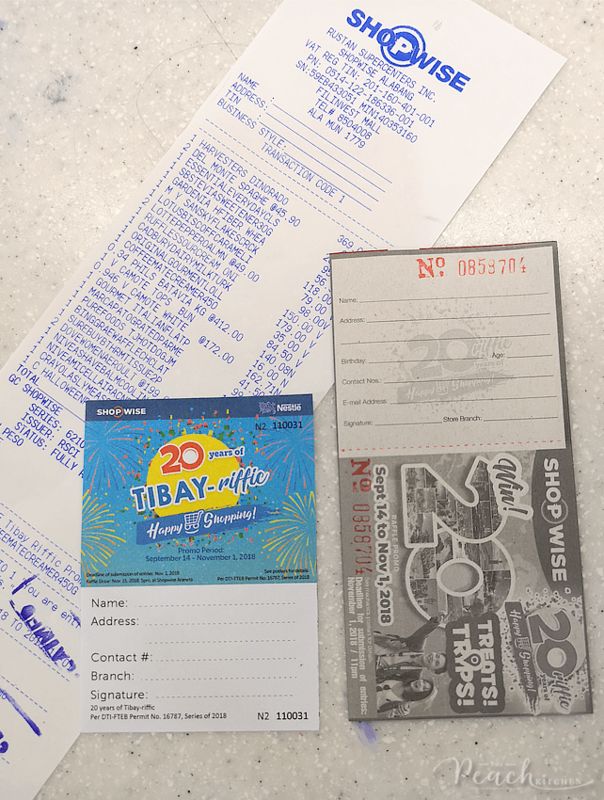 Every ₱350 purchase in a single receipt entitles a customer to one raffle coupon. Since my grocery was worth ₱3,000++ , I got 10 raffle coupons. 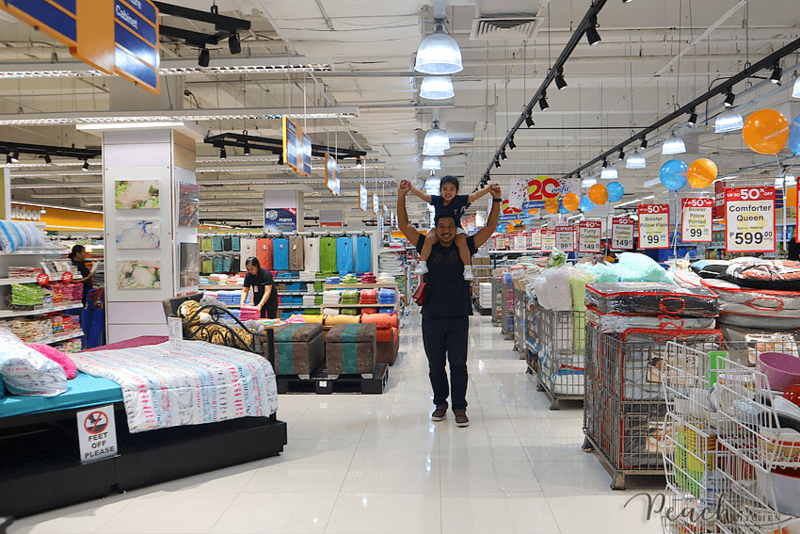 So after a wonderful shopping experience, what did I think of Shopwise Alabang? I love it! 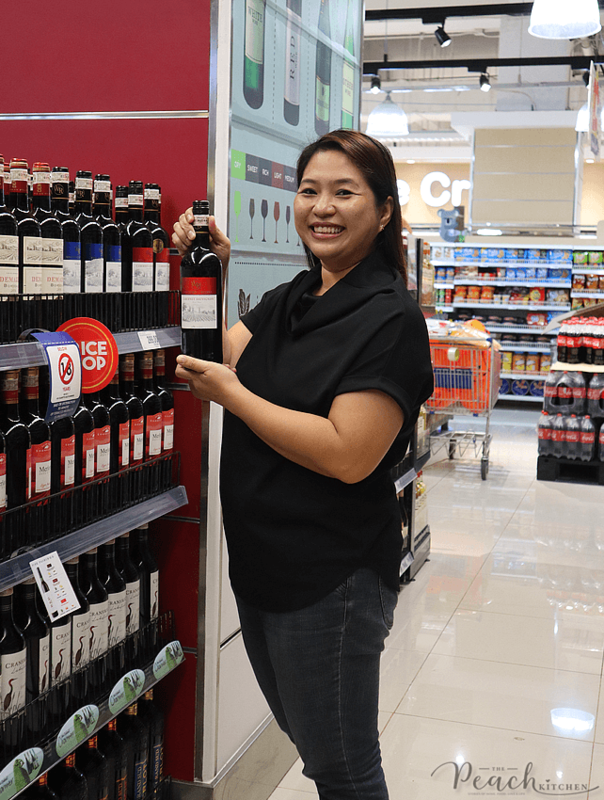 Shopwise Alabang is like a combination of your usual grocery and your favorite membership shopping grocery without the membership payment. 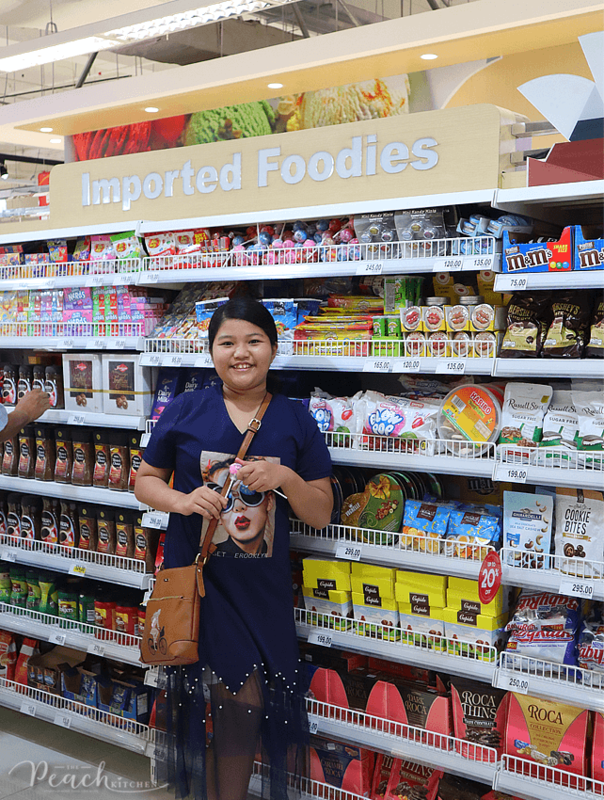 You can buy imported items that are not available in your usual grocery and it’s a one-stop shop for all your shopping needs. Oh, and make sure to download the new WiseApp. It’s like an upgraded Wise Card. It’s a card-free, hassle-free shopping rewards companion wherein you can earn and redeem points, check your points in real-time, and get access to the latest deals and steals at Shopwise. Plus get 1000 POINTS FREE when you sign up via the WiseApp. 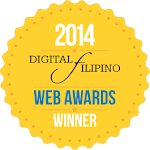 Shopwise Alabang is located inside Festival Mall. Ang cute nung cart nila hehe 😀 ganda naman jan momc pang sosyalin. Grocery shopping is one of my favorite things to do. Sayang lang because walang Shopwise near our area. until now di pa din ako nakakabisita sa Shopwise Alabang. Ang ganda ng ilaw, ang aliwalas na tignan ng area. Bibisita ako at mamimili dyan soon. I haven’t tried shopping in this branch too. Maybe we can try also in the future. I love that they have plenty of fruits. We spend a lot on fruits, juices and yogurts. Gusto ko ang meat selection ng shopwise. They have yung mga pre-marinated stuff na ang sarap talaga. 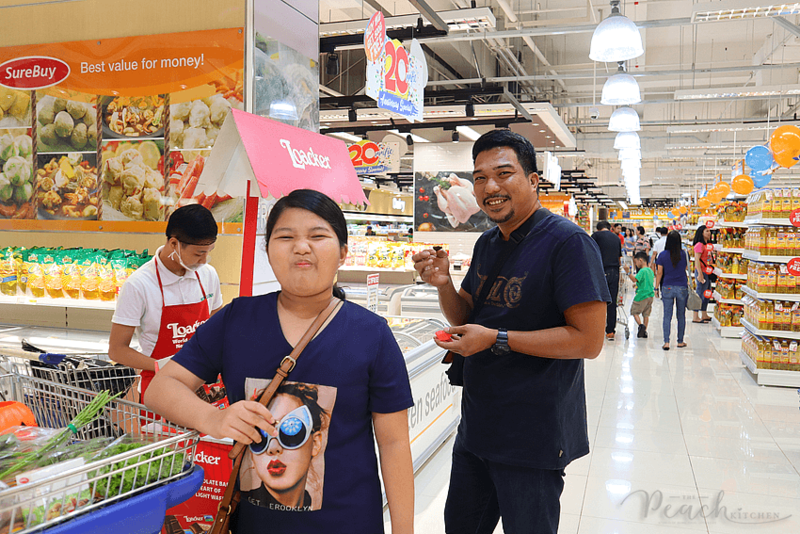 We seldom shop at shop wise but when we tried it a few months ago, my husband suggested that we do our regular grocery at shop wise. He finds the items at lower cost compared to our fave supermarket. I agree with him and Shopwise also has a nice selection of meats and veggies. Foods! Wish they were in Missouri. 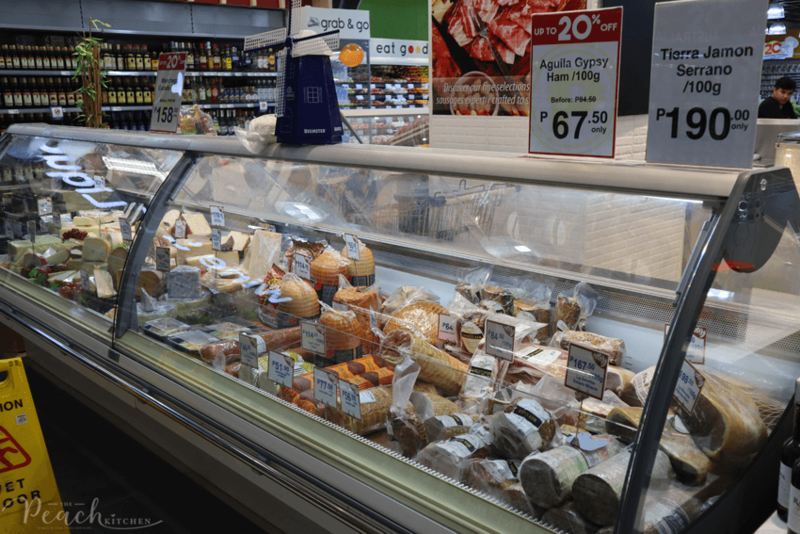 Looks like an amazing grocery store with a nice variety of foods! I wish this in my city. Wow this store looks awesome. We don’t have many stores like this where I live. The only place where you can get such a wide variety of things is at a membership only store, and I don’t like having to pay for the membership. I wish we would get something like that. I would shop there all the time. Wow, that store is HUGE!! I’ve never heard of it, but it looks great!! I can imagine how convenient to shop there. I think it already has everything you need. I can tell that your family had fun shopping around. beautiful store, I always love it when there is a lot to choose from! Looks and sounds like a good store! Looks huge! 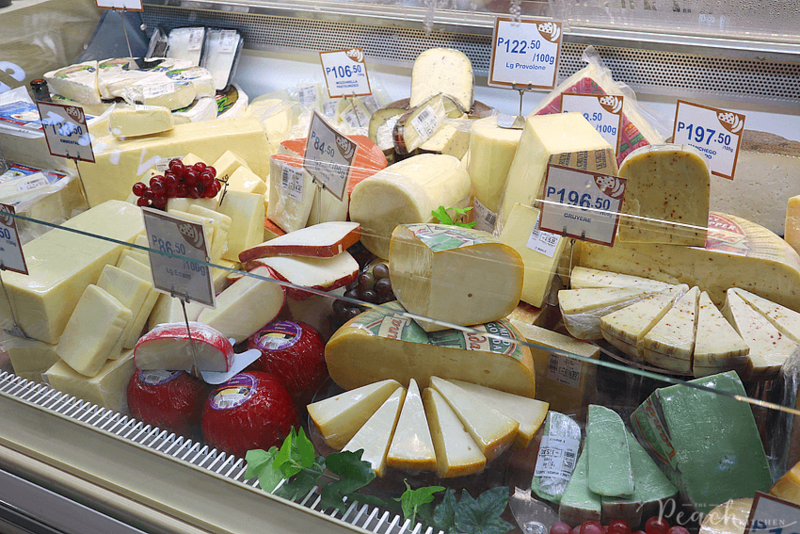 Love the look of the cheese counter!! Great store! When I first saw your pictures, it reminds me of the Costco near my house. Of course the section with the dry goods / gummies / etc. looks really tasty! It always fun when you go for grocery shopping. Looks you had a great time. And this mall looks big and huge. 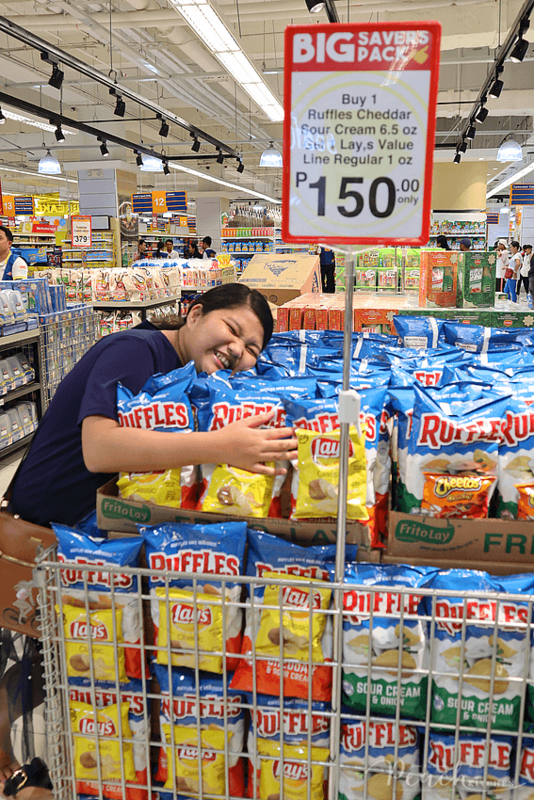 This is kind of the Super Walmart of the Philippines? 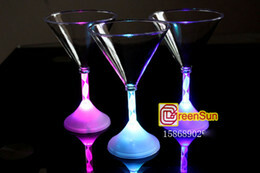 Is it pretty cool! And there is a lot of good deals on the food (buying in bulks) and common day items! You found such great deals! 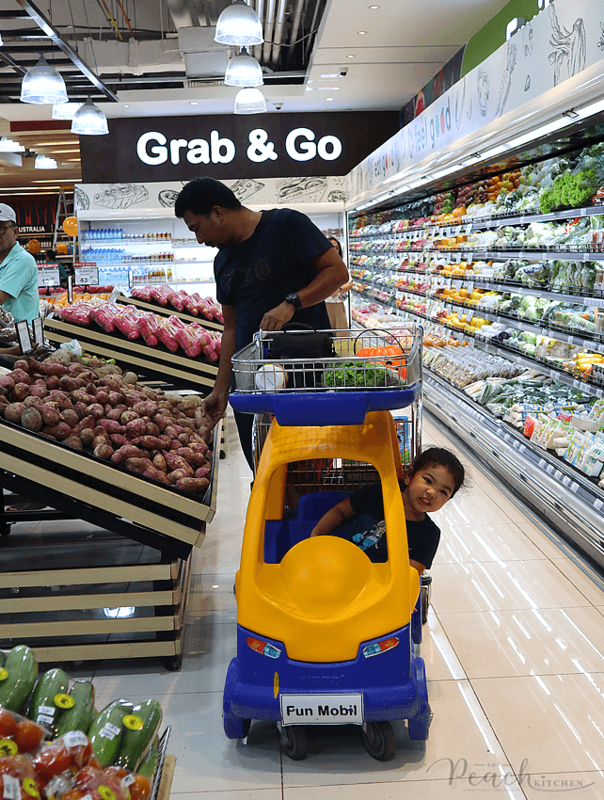 Those car carts are fabulous and make a huge difference in our shopping experience. Shopping with a three year old is never quick but this looks like a really fun store! 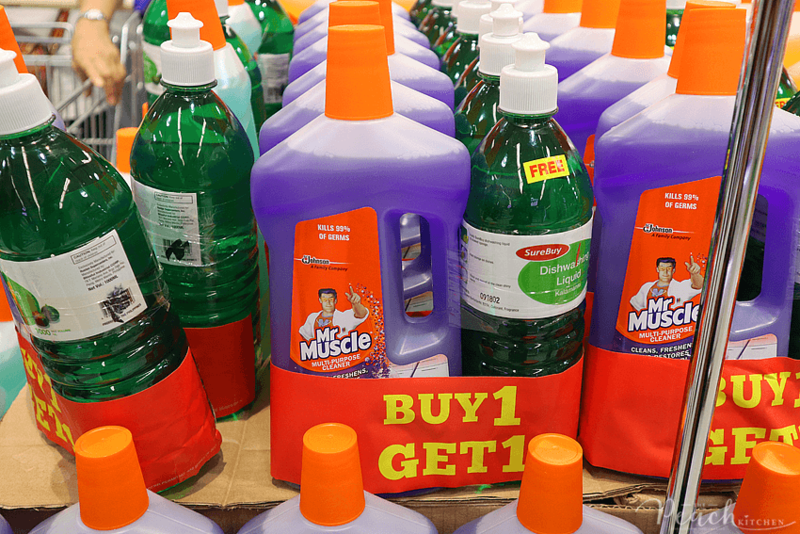 I know there are a lot of deals in Shopwise and it’s worth every penny. I wish there is a branch near us.